Just last month I went to the most life-changing concert of my life. 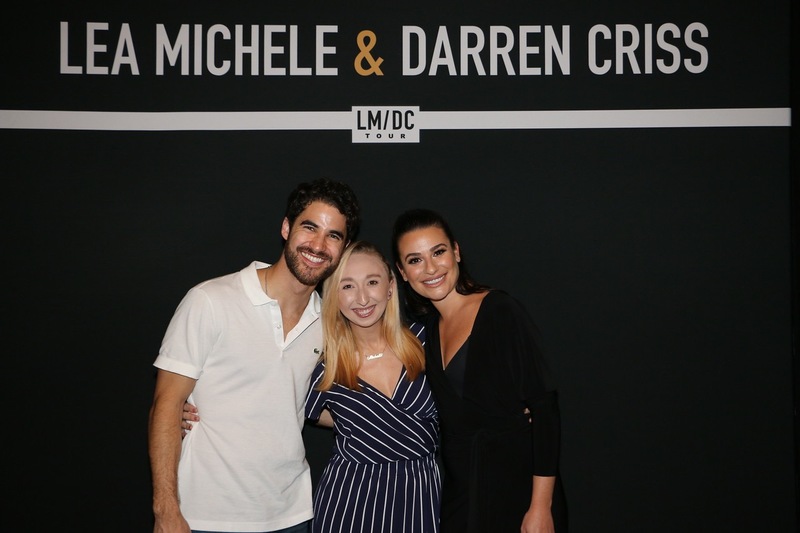 I saw Lea Michele and Darren Criss live! My friend Krysta and I got VIP tickets where we got to meet them and sit in the front row to watch them. I am seriously still in awe of how perfect these two human beings are. Lea Michele is my idol and the minute I was notified she was going on tour I jumped at the chance to buy VIP tickets. Seriously, her music and her VOICE... so inspiring. I am so happy I spent every penny on meeting these two and seeing them perform. Their voices are so angelic and moving. If you plan on going to a concert, I suggest you go see them. I loved seeing Lea Michele and Darren Criss live. I would jump at the chance to see them perform together again.